This young band of twenty-somethings are students of soul, including guitarist Blake Rhein, who moonlights doing research for The Numero Group. 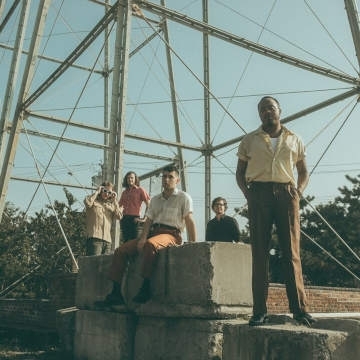 Even with that background, and an aesthetic steeped in the golden, strings-infused dreaminess of early ‘70s soul, the Indications are planted firmly in the present, with the urgency of this moment in time. Rhein and Frazer initially bonded over a love of crate-digging for rare 45s, and that vast musical appreciation and flexibility injects an accessibility into the veins of new album American Love Call.